Mario Guarnieri is the managing director of Guarnieri, which is the Southern Spain's largest automotive centre. Mario was invited to visit Estonia for the Estonia's Friends International Meeting by the President himself, Toomas Hendrik Ilves. Mario received the recommendation from Margus Reinsalu, an Estonian businessman, who lives in Spain part-time. 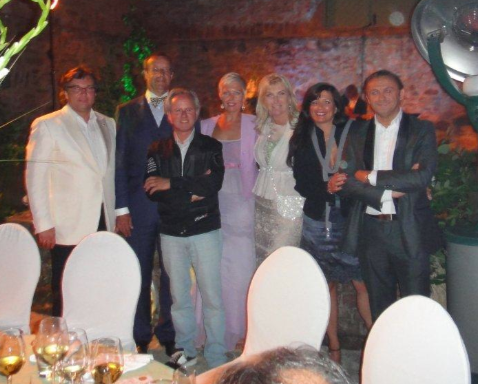 Mario attended the Estonia's Friends International Meeting in Estonia, which took place 18-20 August, a three-day event, which is mostly a cultural program in which the foreign VIP guests attended dinners, musical performances and meet the president and prime minister. On August 20 they also attended the official reception for Estonia's Day of Restoration of Independence. One very special event, the symp osium, entitled "Quo vadis, Estonia" (Where are you going, Estonia? 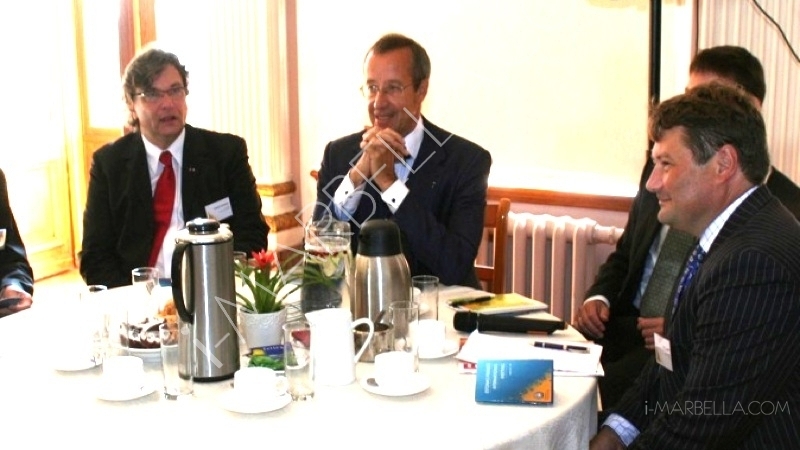 ), was hosted by President of Estonia Toomas Hendrik Ilves himself. The event took place in Stenbock House, which is the Estonian government building. The session was opened by Estonia's President himself, Toomas Hendrik Ilves, followed by discussion which was lead by James Oates, Central & Eastern European Investment Specialist, CEO of Cicero Capital. Around 40 CEOs, honorary consuls and public intellectuals from abroad were there to discuss the heady questions of what Estonia should do next as a nation, and how it can improve its chances for success in the global marketplace. The project was organized jointly by the Office of the President, the country's largest support institution for business Enterprise Estonia and entrepreneur Margus Reinsalu, owner of the KC Grupp investment company. Reinsalu, who initiated the project, told ERR News that the main purpose of the meeting was to introduce Estonia to the foreign delegates, which he said was far more effective than simply talking about his country while abroad. When asked how likely it was that the day's discussion would translate into any practical change, Reinsalu was upbeat:"This is an opportunity to acknowledge it and receive feedback and advice for the future." Mario himself sees Estonia as a very promising young country:" In my point of view Estonia is a quite young country and the people living here are hungry to innovate and make things happen, which is not common to many older countries in the west, that is why Estonia has a huge potential. Plus the IT in Estonia is very developed and Estonia is a e-country which means with your cellphone you can park your car or make money transfers. Also in Estonia with only just a couple of hours you can found a company and issue a VAT number." During the 3-day-visit Mario also had the chance to get a glimpse of Estonia's neighbour country Latvia. His comments to the differences between Estonia and Latvia were these:"They are both extremely beautiful countries, but I would consider Estonia to be more Scandivian, whereas Latvia to me is more Slavic and similar to Russia." The Estonian National Broadcasting (ERR) also interviewed Mario regarding this special event. To see the video of the interview click here! After the Stenbock House tour a lunch was followed at the hall of Stenbock House hosted by Prime Minister of Estonia Andrus Ansip. What is more, Mario Guarnieri also attended the anniversary reception of the re-establishment of Estonia’s independence hosted by President Toomas Hendrik Ilves on the 20th. Also taking part of these 3-day events was Mario's good friend, Horacio Pagani, the founder of Pagani.